While ranking this list, I was thinking that while 2013 didn’t have one movie that took over the conversation for the year, like The Master last year, that only means that there were so many good films released this year that we were faced with an embarrassment of riches. Plus the vagaries of international release mean that the films of this year’s Oscar season that American critics are currently raving about won’t arrive until into 2014; see Twelve Years A Slave, Inside Llewyn Davis and The Wolf of Wall Street, among others. So take this to be the list of best films that I saw due to cinematic/home video release in the UK in the calendar year 2013, and come back next year when I’ll probably end up ranking more of 2013’s best as I’ve actually been able to see them. A testament to control of tone, Jasmine is a far darker character study than Allen’s trademark breeziness (and incessant jazz tootling away in the background) makes it appear. As much as the culture clash between Cate Blanchett’s brittle society wife fallen on hard times and her new West Coast acquaintances is played for laughs, there’s a genuine sadness and tragedy always close to hand. Blanchett’s intensity and skill at portraying an emotional maelstrom just beneath the surface carries the film. 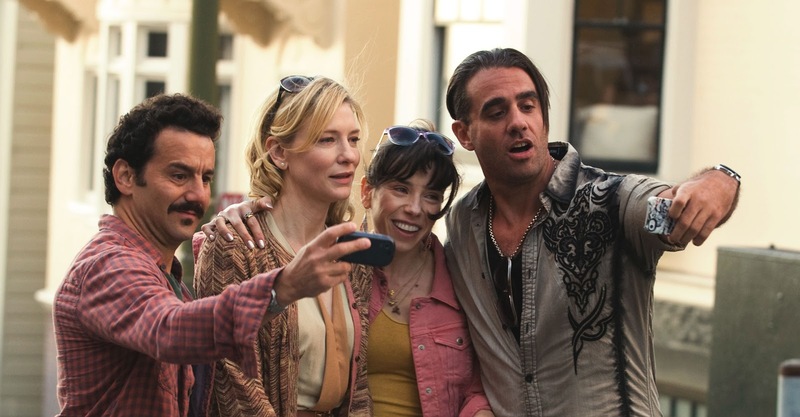 An excellent supporting cast round out the proceedings; Sally Hawkins is especially good as Jasmine’s long-suffering sister, and Bobby Cannavale imbues what could have been a two-dimensional buffoon with a surprising amount of depth and pathos. Alec Baldwin (appearing entirely via flashback) as Jasmine’s ex-husband and Madoff-esque swindler is in his element as a charming white-collar sociopath. It’s not a perfect film; the plotting is contrived in at least one moment, and a late-film scene muddies the issue of Jasmine’s innocence or otherwise. However, the degree to which Allen wants you to empathise with Jasmine is more or less irrelevant when Blanchett so perfectly embodies such a neurotic, maddening, fascinating character. A director with as detached and clinical a style as Soderbergh seems like he’d be interested in the artifice and spectacle of Liberace in his Vegas prime, giving virtuoso performances for audiences of Midwestern squares who never suspect anything about his private life. But as we follow dog trainer Scott Thorson (Matt Damon) into Liberace’s bed, household and life, it becomes a moving love story. 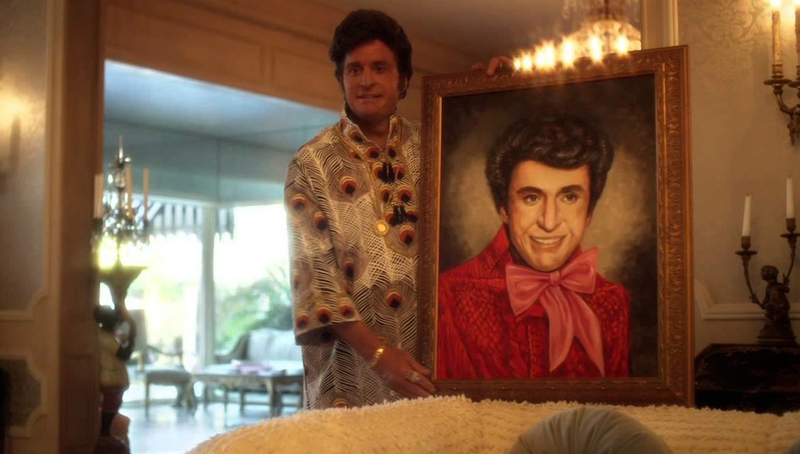 Michael Douglas’ amazing performance gives us Liberace as an essentially vulnerable, lonely man, shuffling around his mausoleum-like mansion (Soderbergh’s wide angles and use of depth of field are particularly good at deepening the sense of isolation). His alternate possessiveness and fear of attachment, which show in the relationship’s rough patches and ugly ending, weigh against his need to be loved. The film could have been a satire of showbiz vanity and delusion, and it feints towards that (especially in Rob Lowe’s cameo). But Soderbergh’s skill at uncovering the pathos beneath the glamour makes this a worthy note to bow out on. By now, the basic premise of Joshua Oppenheimer’s documentary is well-known enough. Oppenheimer, working with a mostly-anonymous local crew, approached a few of the perpetrators of mass killings that took place in the wake of the US-backed military coup of 1965, and asked them to re-enact the murders on camera. Unpunished and unrepentant, they happily oblige, and the result is a fascinating statement on the role of the investigator as confessor, the creation of fiction in place of suppressed memory, and the human capacity for rationalisation. Retired gangster/paramilitary Anwar Congo and his small group of cronies, who helped to slaughter their neighbours decades ago, now live happily as minor local celebrities, their own personas informed by Hollywood. This creates a bizarre feedback loop where the men act out their past deeds through a thick filter of genre cinema, starring in their own version of the gangster movies they used to watch. Oppenheimer’s smart enough not to tip his hand (although he has spoken extensively in interviews about the film), but one gets the sense that as horrifying as Congo’s past crimes are, he sees him as a different kind of victim; playing the role of genial old war hero, trapped by guilt he can’t even acknowledge, let alone process. The film’s real rage and contempt is reserved for his blithely uncaring superiors, and the government minister who pumps up a crowd of extras for a village massacre scene, before smoothing over his image once the cameras are off. Beyond the compelling subject matter and presentation, Oppenheimer brings some eye-catching visuals to the screen; the technicolour fantasias of the gangsters’ musical number, the urban vistas of empty streets, and the open doorway in that final shot, a telling absence where reckoning should be. Abdellatif Kechiche’s three-hour-long, Cannes-endorsed romance pretty much lives up to the hype; it’s a moving portrait of the first flush of youthful romance and what happens when that isn’t enough anymore. Most of this is down to the two leads; Adèle Exarchopoulos (as Adèle) carries more or less the entire running time on her shoulders; she’s rarely out of shot, usually filmed in close-up, and the camera explores every contour of her face as she builds her character through subtle shifts in expression. It’s a remarkable performance. Her chemistry with Léa Seydoux, who plays the older Emma, gives weight to the film’s portrayal of a budding relationship, its disintegration and the emotional fallout that follows. The film is all about life, as lived fully as possible. Adèle eats voraciously; she loves with a fierce passion; when her heart’s broken, she’s crushed. The section of the film set at the height of the relationship explore Adèle’s fierce loyalty to Emma as lover and artistic muse, but also emphasises that living solely for someone else isn’t enough; at some point, you have to become your own person. The strange rhythm of the film, including numerous time jumps and ellipses, mirrors the experience of time rushing by as you grow up; schoolfriends left behind, days and weeks lost in the wake of a major breakup.The length of the film works in its favour; the cumulative effect of those moments builds to communicate the weight of a person’s past. We leave with the feeling that despite the elisions, we really have seen Adèle grow up before us. Edgar Wright’s fourth feature film, and his latest genre comedy starring Simon Pegg and Nick Frost (billed as the concluding entry in their “Cornetto Trilogy”) has the same furious pace and rapid-fire gags of their previous two collaborations. But there’s also a darkness there that their past films didn’t have. It’s a film about the inevitable disappointments of life, about how nostalgia and conformity can trap us, and about the cost of breaking free. The sci-fi trappings bounce off the domestic drama in a way that enriches both (especially the poignant subplot featuring Eddie Marsan’s character and the former school bully), as Gary races towards a reckoning with the responsibility he’s been dodging his whole life. There are flaws, such as the underdeveloped supporting cast, and the audacious denouement that feels oddly underexplored. But it’s still the most entertaining and resonant action comedy of the year. Park Chan-Wook’s English-language debut is an expertly-done series of icily efficient crescendos in tension, combining the slow burn of Thirst and JSA: Joint Security Area with the bravura setpieces of his revenge superthrillers. Mia Wasikowska is predictably excellent as the young girl whose coming of age is marred by the death of her father and near-simultaneous appearance of her charming but mysterious uncle. It’s a wonderful-looking film; the camera glides smoothly around the Stoker family’s cavernous mansion, alternating between poised, elegant steadicam work and eerie off-kilter compositions. While the script echoes Hitchcock’s Shadow of A Doubt, another obvious touchstone is David Lynch, with ultra-creepy soundscapes, flickering electric lights, rictus grins and frosty domesticity poised over an ocean of barely-concealed horror. “Realism” or “restraint” is the exact last thing I want from a director like Park, and it’s an utter treat seeing his heightened pulp-opera stylings play out within the Southern Gothic fairytale atmosphere of this film. Probably the most fun you’ll have watching a documentary about a bunch of people watching a film, Rodney Ascher’s unconventional video essay takes as its subject obsessive rewatchers of Stanley Kubrick’s The Shining, and their far-fetched theories on the classic chiller. Two decisions taken by Ascher elevate this premise into something special. The first is to never show the interviewees, keeping them as disembodied voices unpacking their interpretations. 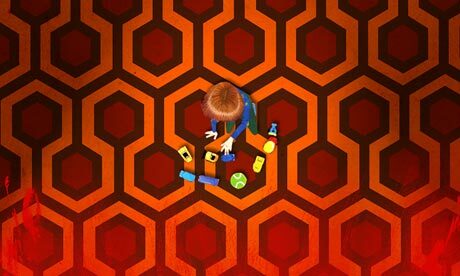 The second is to compose the film exclusively of archive footage and excerpts from The Shining. The Adam Curtis style patchwork of footage makes it seem like an eerie found product that grew out of some vast film archive, as the interviewees calmly parse out their takes on the film, sometimes frame-by-frame. Some of the theories seem quite plausible (the numerous reference to the genocide of the Native Americans); some are genuinely interesting (mapping the impossible layout of the Overlook Hotel); some start off low-key and then take a hard right into lunacy (the moon landing one … ’nuff said). But as we travel further down the rabbit hole of the hermetic, conspiratorial side of film theory, The Shining takes on the characteristics of the Overlook; a labyrinthine enigma that has trapped these poor souls within a never-ending maze of signs and portents. For film obsessives, it’s scarier than Jack Nicholson with an axe. 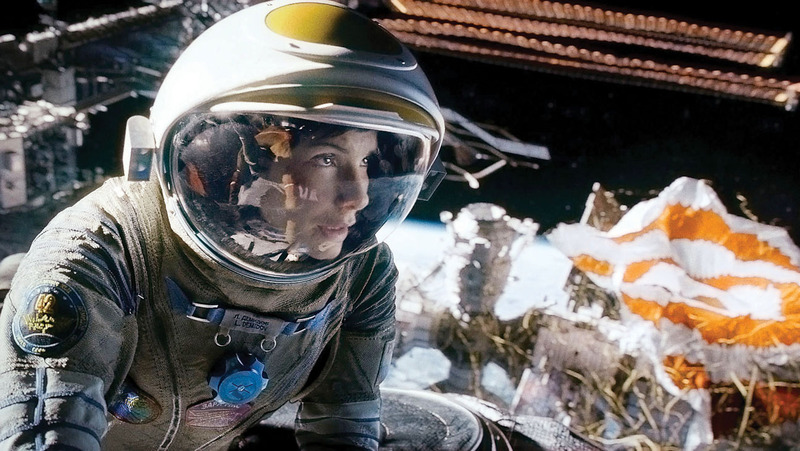 Alfonso Cuaron’s years-in-the-making survival-against-all-odds space thriller/groundbreaking effects showcase/well-deserved career revitalisation for Sandra Bullock is the most visually astounding film of the year. An exercise in sustained tension that’s the equivalent of the last ten minutes of Jaws extended to feature length, the film draws its greatest dramatic charge from the primal terror of isolation in the pitiless emptiness of space. The technical brilliance is always apparent but never overwhelming; Emmanuel Lubezki’s long takes are unfussily precise in the way they track each character and position them in relation to each other and the point they’re trying to reach. The film also mines the potential of 3D to make it an integral, immersive part of the cinematic experience. For all the sense of scale and visual spectacle, it works because in terms of cast, plot and theme, it’s stripped down the most essential core. (Some critics were sniffy about the script; my take is that there’s a difference between simple and simplistic.) I found the focus on determination and will to survive inspiring, with the triumphant finale ranking as one of my favourite scenes of the year. Treading a fine line between creepy and charming, In The House ingratiates itself with the audience before pulling off a nimble series of twists and reversals. It’s a film about voyeurism, wanting things seen from a distance and the lengths we go to believe in perfection. Pompous schoolteacher and frustrated novelist Germain (Fabrice Luchini) takes his calm, self-assured pupil Claude (Ernst Umhauer) under his wing, aiming to nurture his writing talent. Claude delivers bitingly sarcastic dispatches from his best friend Rafa’s seemingly perfect middle-class family home. The balance of power between the two slowly shifts, with Germain rationalising away his interest in these dirt-dishing reports, and encouraging this infiltration of the oblivious household despite himself. Claude’s actions begin to have consequences, and Germain wakes to his complicity in events too late to make a difference. Writers, Ozon suggests, are a selfish breed. They take the world around them as raw material for their work, and would rather analyse the motivations of their characters than attend to the feelings of real people. The film takes a clear-eyed look at how powerful, enticing and dangerous the creative impulse can be. After all, everyone wants to be the hero of their own story. This is a monumental film about the national security leviathan that America built for itself, viewed from inside the belly of the beast. It’s peopled by characters who have willingly turned themselves into tools of the system, who torture wholeheartedly, who sublimate their jihadist zeal for vengeance into a bloodless bureaucratic structure. Bigelow’s expert blocking and shot choices belie the look of faux-docudrama realism. The film really lives in the gulf between the grim displays of pain meted out in the name of revenge and the uncertainty and hunger for information that defines the hunt. Its cipher-like operatives swim in immense, abstracted patterns of data, lost in a never-ending fog of unknowns and probabilities. The masterful, horrifying raid sequence takes us back down into the realm of the real, of bloodstains and dead bodies. There’s no catharsis, no triumph – just more data to feed the machine. 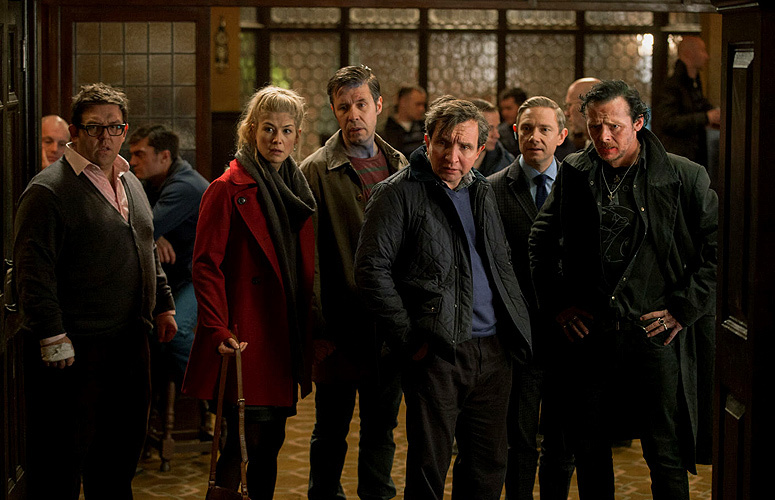 One of the funniest films of the year (only The World’s End competes on a pure gags-to-runtime ratio) and one of the most charming. 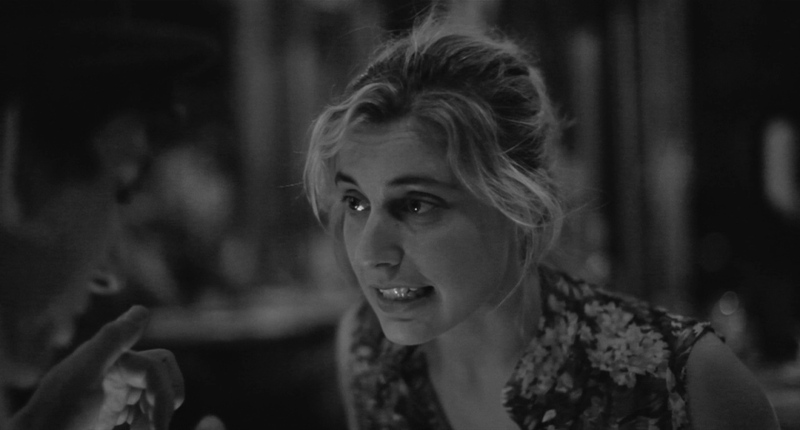 It’s a partial softening of Baumbach’s acidic worldview, perhaps thanks to the input of star Greta Gerwig (who co-starred in Greenberg and co-wrote this film with Baumbach). It’s still fairly sardonic towards Gerwig’s Frances; flighty, self-absorbed and more than a little unsure about who or what she wants to be. But there’s a balance struck in not treating twentysomething ennui too seriously, or too trivially. The understated, slightly grainy black-and-white photography tracks her running, dancing and stumbling through a New York that seems at once full of possibility and forbiddingly difficult. It’s this empathy that makes it such a hilarious and touching film. This third entry in Linklater’s Before… series hits harder and goes deeper than its predecessors. It’s no longer just about romance, but about what comes after; the hard work of commitment, along with bitterness, disillusionment and the accumulated dead weight of history. The witty interplay between Hawke’s Jesse and Delpy’s Celine, now settling into comfortable middle age with family of their own, still remains, as do the unshowy single takes that track the couple as they wander around beautiful locations talking about everything and nothing. But time has taken its toll, especially in the decision made by Jesse to leave his first wife and share custody with his son. He and Celine are no longer connected by contingency, but in this for the long haul. The underlying tension all erupts in the late-film hotel room argument, a brutal eruption of suppressed discontent from two people who’ve been together long enough to know intimately how to push each other’s buttons. The romanticism of a couple in love walking around Europe’s most beautiful tourist spots only lasts for so long. This far down the road, you have to reckon with the disappointments of the past and the frustrations of the present, and this film is all the richer (and maybe even more romantic) for the inclusion of serious fractures within this latest snapshot of Celine and Jesse’s relationship. This is one of Hong Kong action maestro Johnnie To’s greatest works; a relentless procedural thriller in the Mann/Friedkin tradition which portrays cops and crooks as equally-matched gangs going toe-to-toe within the confines of a rigged, self-perpetuating system. 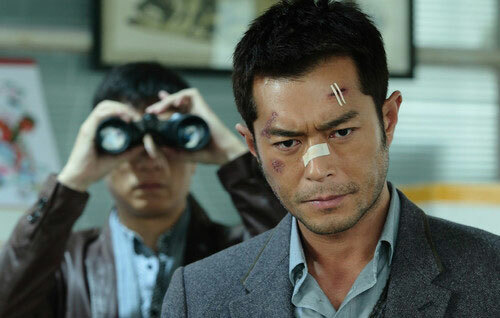 When meth dealer Timmy Choi (Louis Koo) is hospitalised after a lab explosion, he’s captured by hyper-professional Captain Zhang (Honglei Sun) and coerced into cooperating with the police in a scheme to entrap his colleagues, in the hope of avoiding a mandatory death sentence. There’s no grudging respect here; both men consider themselves the smartest guy in the room. What happens when that isn’t the case provides the series of hugely entertaining switchback plot twists. In To’s movies, action is character. Every act has a purpose, and a consequence. There’s next to no expository dialogue in this film; the audience is simply shown characters doing, as if we’ve come into the scene a beat or two late, and left to unpack the meaning. The massive climactic gunfight, which tracks three separate groups through the carnage and makes room for significant character moments, is a masterpiece of action filmmaking. As To’s first film made in mainland China, it takes pains to cooperate with official strictures, with its straight-arrow cops and moralistic Crime Does Not Pay ending. But there’s a note of bleak irony underneath. The supposed victory for law and order at the end feels ultimately hollow, with the numerous corpses strewn throughout the story left as casualties of an unwinnable war. This is Tarantino putting his love of genre – Western, blaxploitation, good old mythic hero’s journey – to use in an assault on both the antebellum South and its representation onscreen. You feel his glee in demolishing the genteel Gone With The Wind Southern cliches; as with his previous film Inglourious Basterds, he fights the good fight he only way he knows how – with cinema. The squib-heavy gunfights and geysers of old-school Hollywood blood are pure filmic joy. (And for all the shade he gave John Ford in the film’s publicity tour, Tarantino’s clearly learned from the master in how to shoot widescreen American landscapes.) Foxx is akin to Melanie Laurent in Basterds as the film’s steely avenger who anchors the more baroque Tarantinoisms through force of character. He’s more than able to hold his own against Waltz’s fussy old-world gunfighter Schultz, and the reptilian slaver Calvin Candie (Leonardo diCaprio, chewing scenery like he’s just come off a starvation diet.) But it’s Samuel L Jackson in an extraordinary performance as Stephen, the house servant who’s spent so long under the barbarism of slavery that his canny survivor’s instinct has curdled into his own brand of bigotry, that’s the most audacious and disturbing aspect of the whole thing. It’s not a perfect film, but you don’t watch Tarantino for perfection. The wild ambition, the bizarrely misfiring comic riffs, the odd indulgences: they’re part of his films’ DNA. It’s a pleasure to watch him steer his ramshackle masterpiece to a triumphantly cathartic ultraviolent conclusion. 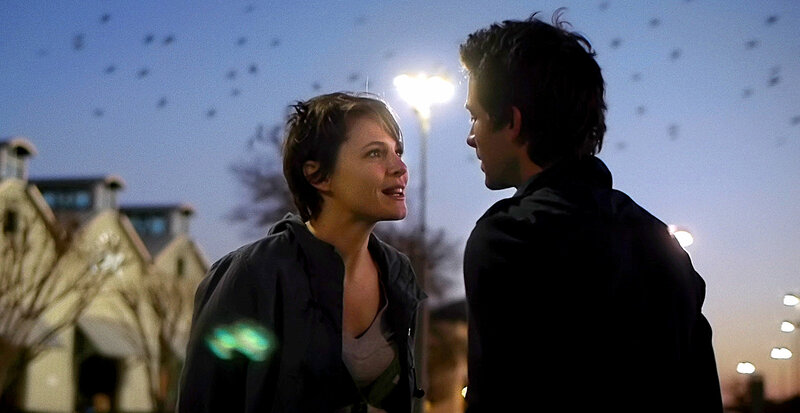 There wasn’t a film of last year more purely cinematic than Upstream Color, Shane Carruth’s follow-up to his mind-bending time travel debut Primer, arriving after almost a decade of Carruth trying to make several projects with as much independence as possible. On a surface level, they couldn’t be more different; while Primer was a dry, sterile hard SF exercise, Upstream is impressionistic, concerned with selfhood and subjectivity, with a beating emotional core. While somewhat elliptical and abstract, it’s never obtuse. Indeed, the focus on conveying details through cinematography, editing and sound design mark it out as particularly in tune with the strengths of cinema as a medium. Voiceover and shot choices are combined so that both convey information independently. The muted colour palette creates a strong visual identity for the film. The sound design deserves particular appreciation, both in its use in building the disorienting ominous mood through the film, and its presence as a plot element. Amy Seimetz and Carruth play two vulnerable, unsure people with a strange trauma lurking in their pasts who drift together, sharing a hesitant connection and eventual romance. On one level it’s a story of two damaged people learning to overcome their separate hurts together, and it loses none of that strength for operating in a possible metaphorical space. As a film of ideas, it’s richly ambiguous and thought-provoking, allowing a lot of conceptual leaps that never lose the audience. 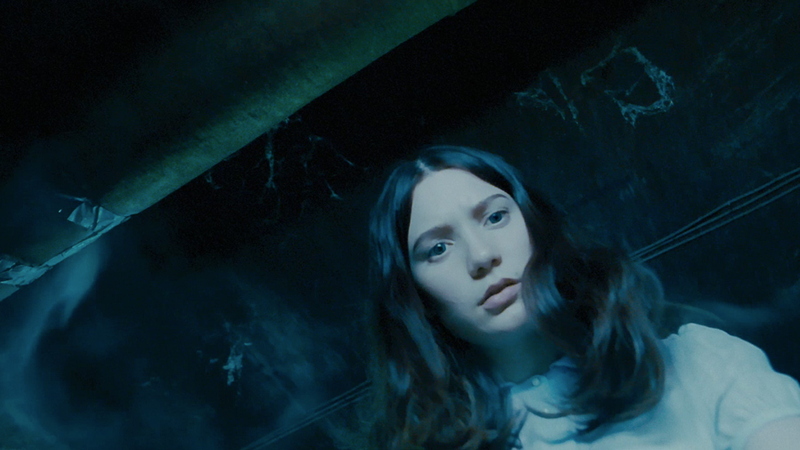 There’s a distinct note of Cronenbergian body horror within the film, stemming from the concept of the body as a biological system connected yet separate from our consciousness. In a way, it does for biology what Primer did for physics. If Primer is about the damage caused by running up against the hard, unyielding physical laws of the universe, then Upstream is about the tension between accepting that we are simply biological organisms and reckoning with what consciousness means in light of that. Where does that intangible thing that makes us human reside? It’s an ambitious, smart, and incredibly assured film. I can’t wait to see what Carruth does next. Outrage (Takeshi, 2011); The Friends of Eddie Coyle (Yates, 1973); Sunset Boulevard (Wilder, 1950); Skeletons (Whitfield, 2010); Shadow of a Doubt (Hitchcock, 1943); The Kid With A Bike (Dardennes, 2012); The Birds (Hitchcock, 1963); Southern Comfort (Hill, 1981); Once Upon A Time In Anatolia (Ceylan, 2011); Cascablanca (Curtiz, 1942); Wild At Heart (Lynch, 1990); To Live And Die In L.A. (Friedkin, 1985); Punch-Drunk Love (Anderson, 2002); They Shoot Horses, Don’t They? (Pollack, 1969); Margaret (Lonergan, 2011); Black Caesar (Cohen, 1973); Real Life (Brooks, 1979); McCullin (Morris/Morris, 2012); Exiled (To, 2006); Jaws (Spielberg, 1975); The King of Marvin Gardens (Rafaelson, 1972); Oslo, August 31st (Trier, 2011); The Deep Blue Sea (Davies, 2011); Rio Bravo (Hawks, 1959); Enter The Dragon (Clouse, 1973); Universal Soldier: Day of Reckoning (Hyams, 2012); Trading Places (Landis, 1983); Sightseers (Wheatley, 2012); Paths of Glory (Kubrick, 1957); Wake In Fright (Kotcheff, 1971); Killer of Sheep (Burnett, 1979); Black Narcissus (Powell/Pressburger, 1947); Classe Tous Risques (Sautet, 1960); Side By Side (Keneally, 2012).